In my May 31st entry I groused about the work getting the flower beds in shape. Well, it’s starting to pay off. 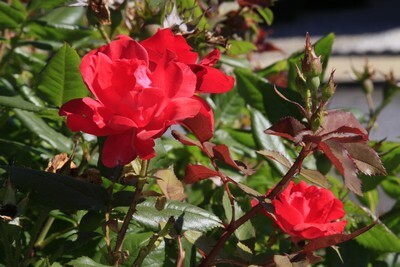 The Knockout Roses have been prolific and there are buds for the next wave. 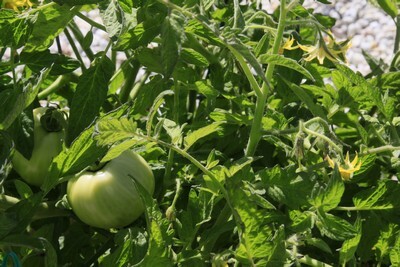 The tomatos are developing and there are lots of flowers for a continuing supply. Soon, Jersey Tomato and cheese sandwiches, and Barbara’s fried tomatos with milk gravy. 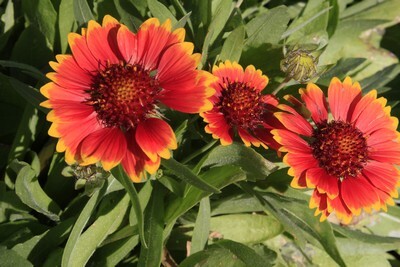 Gaillardia always makes me think of warm summer days at the shore. 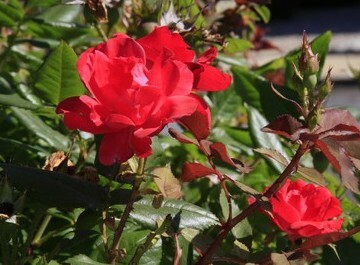 These that I planted a few years ago have also migrated into my neighbor’s garden. Great follow shots, I all ways wondered what these flowers were called “Gallardia” I love them to.